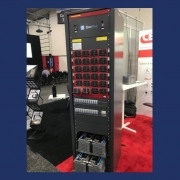 There was one conclusion I came to after recently speaking at the three-show event that made up The Battery Show North America 2018, Electric & Hybrid Vehicle Technology Expo, and Critical Power Expo: GaN has broken boundaries. Gallium nitride (GaN) is now at the forefront of many conversations revolving around power electronics. Whatever misconceptions or reservations people had before – seem to no longer be in place. Rather, people are talking about what they’ve demonstrated with GaN. The show brought together more than 8,000 professionals from engineers to CEOs and offered a place to learn about and discover promising and proven technologies, cutting-edge solutions, and approaches through the expo and presentations. The conference was attended by representatives from the automobile, data center, energy storage, and renewable energy industries – industries that have become increasingly intertwined, complex, and energy reliant. Undoubtedly, GaN is gaining traction in these industries. Everyone needs to do more with less – less space, less energy, less money. GaN not only makes electronics smaller, more efficient and more cost-effective, it allows engineers flexibility to use and manage energy in ways which were impossible with silicon. 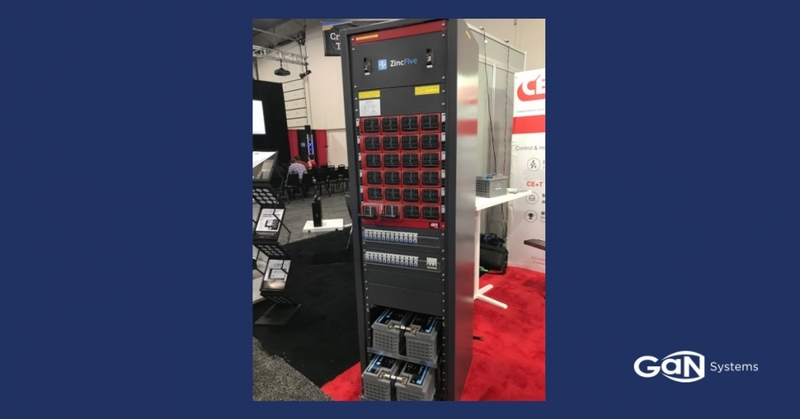 GaN is stepping up to the plate as a building block to both improve and reinvent power solutions without making them more complex. GaN is helping to change the way data centers, energy storage systems, and automobiles are designed. New ideas are surfacing every day as the engineering community explores possibilities outside the constraints of silicon. Imagine the future car built with GaN. What will it look like? What new applications will these changes make room for?